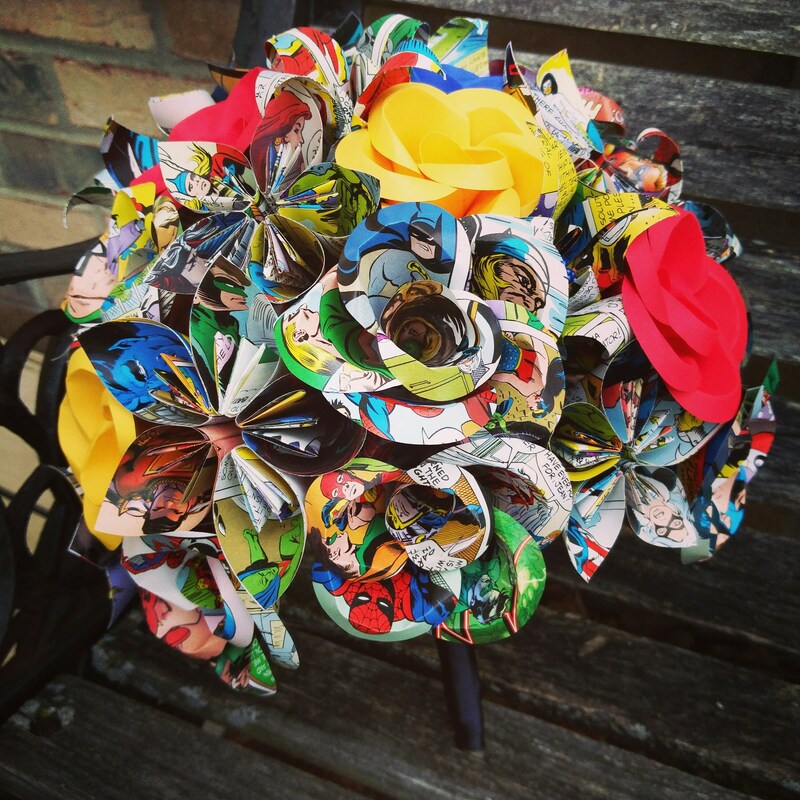 This listing is for a paper flower bouquet, made entirely from COMICS! 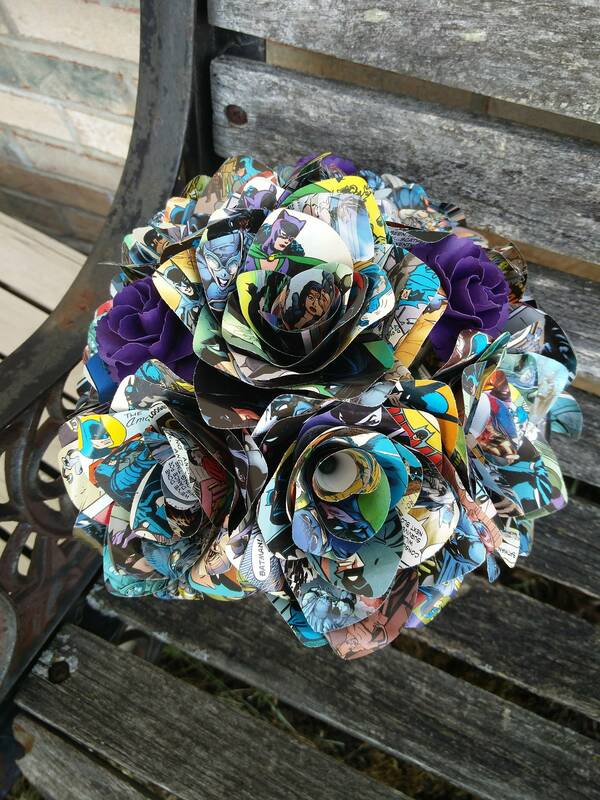 Each bouquet has roses, lilies, and kusudama flowers in it. The above photo is an example. 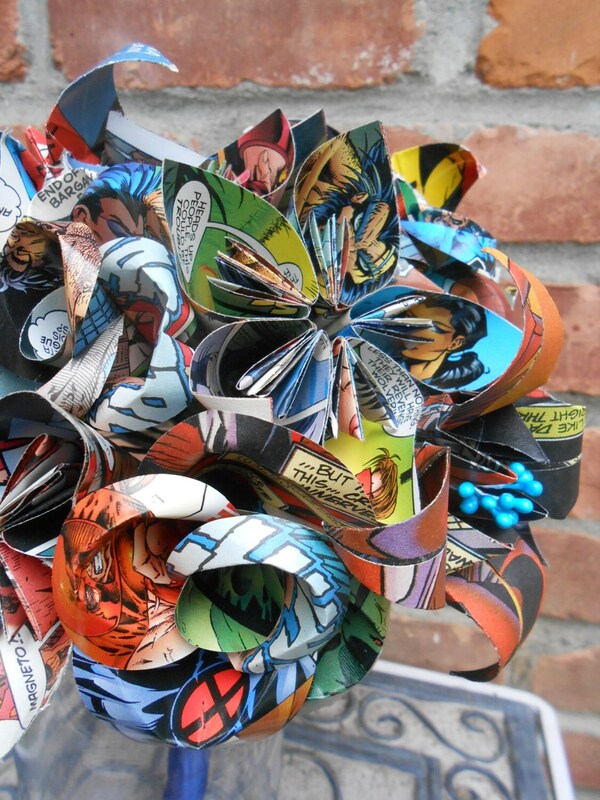 You are welcome to request specific comics in your bouquet, and solid colors, if you want them. 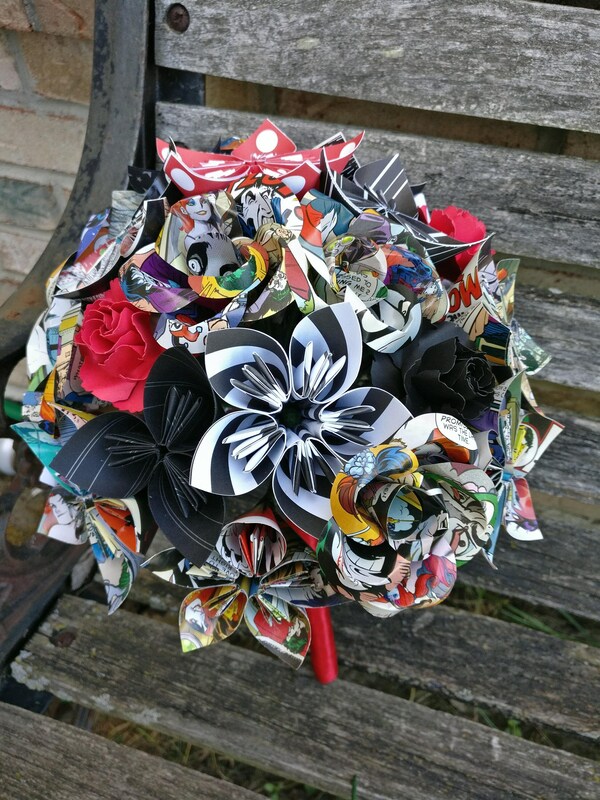 This listing is for 1 bridal bouquet. 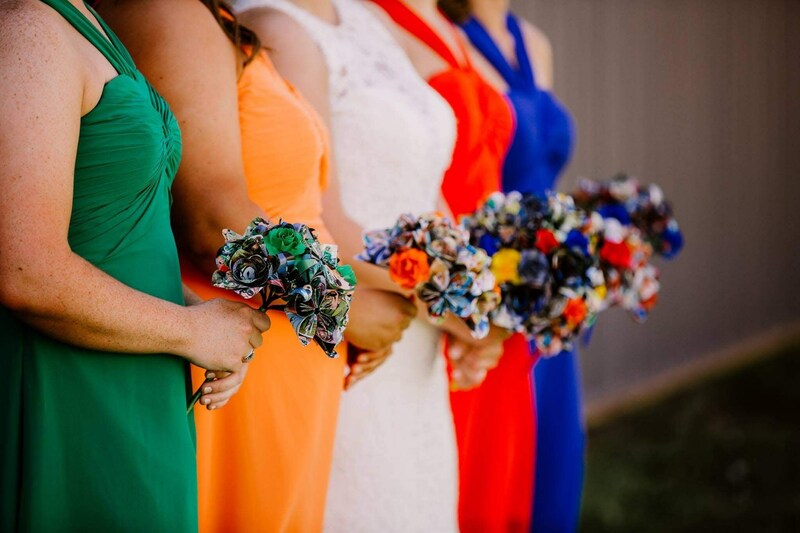 The bouquet comes with a free boutonniere. 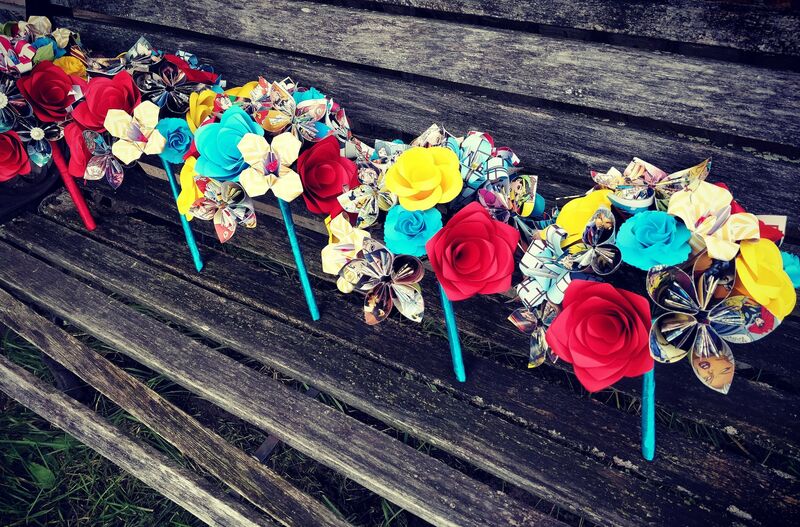 You can also choose your ribbon color for the stems. I am typically 2-4 months out on weddings, depending on the time of year, so please order well in advance. 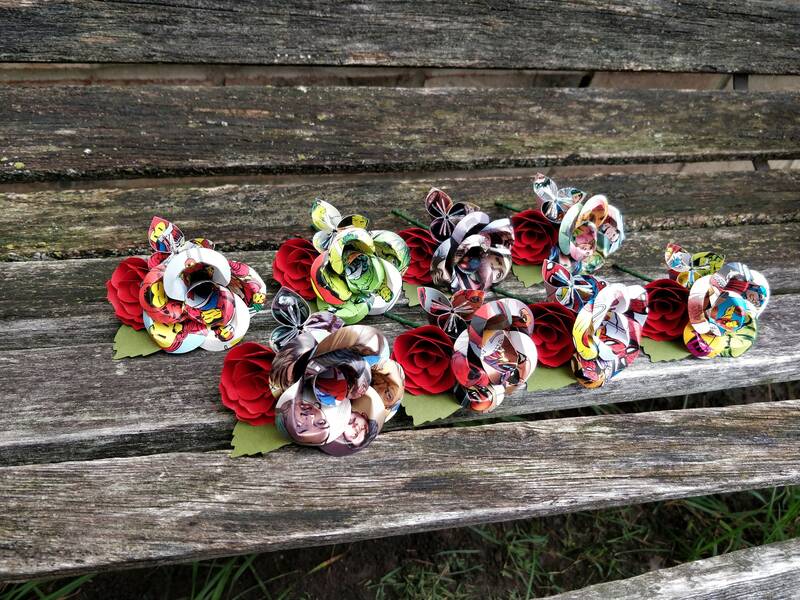 I love to make weddings special! 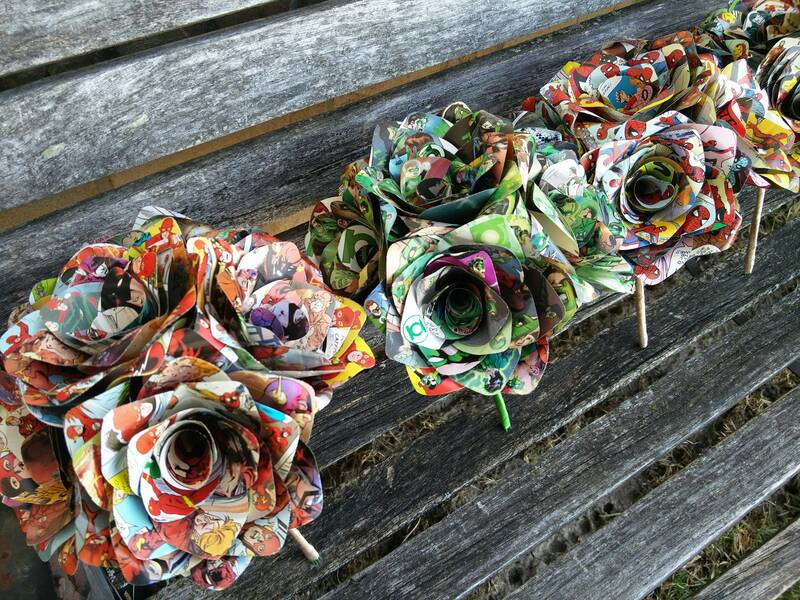 I specialize in paper flowers and I have done many paper wedding bouquets. My customers love them! 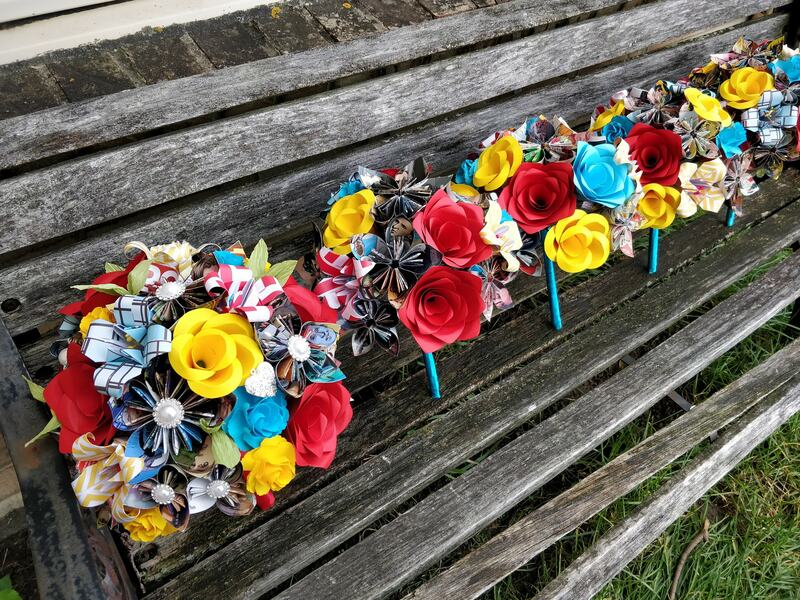 If you have an idea for flowers for your wedding, I can help you make your dreams come true! 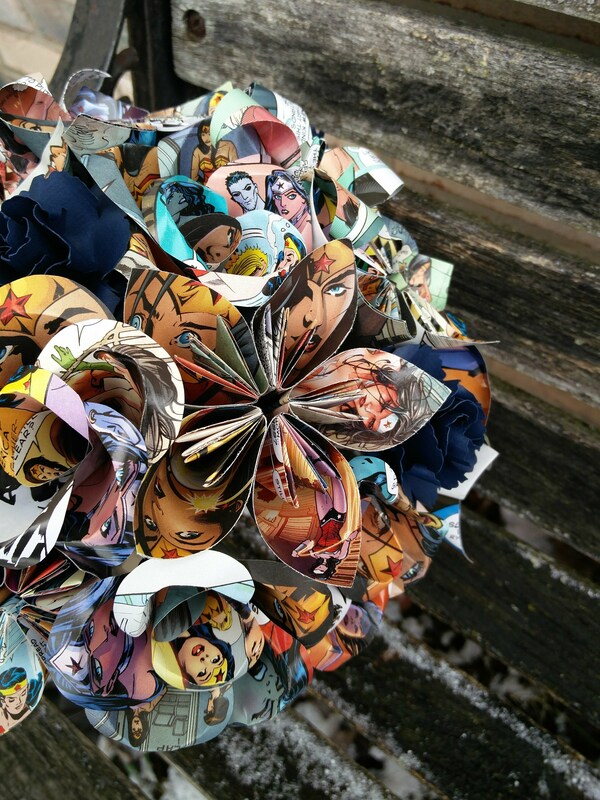 Any paper, color, pattern, book, or decoration can be used in your wedding bouquet!